Written on Feb 21, 2019 . Posted in Commercial solar solutions. 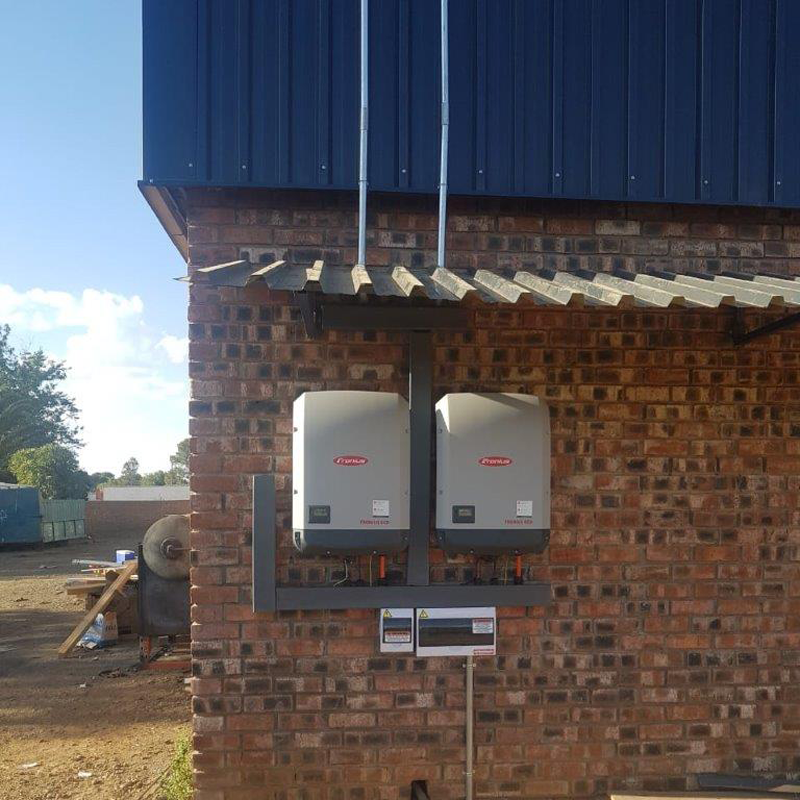 Just outside Kwaggafontein close to Bloemfontein, a powerful 54kVA 63.2kWp grid-tied solar-powered system was recently installed by Specialized Solar Systems commercial installation team. This 3 phase grid-tied solar powered system will be used to supplement the electrical consumption of the factory during the day. 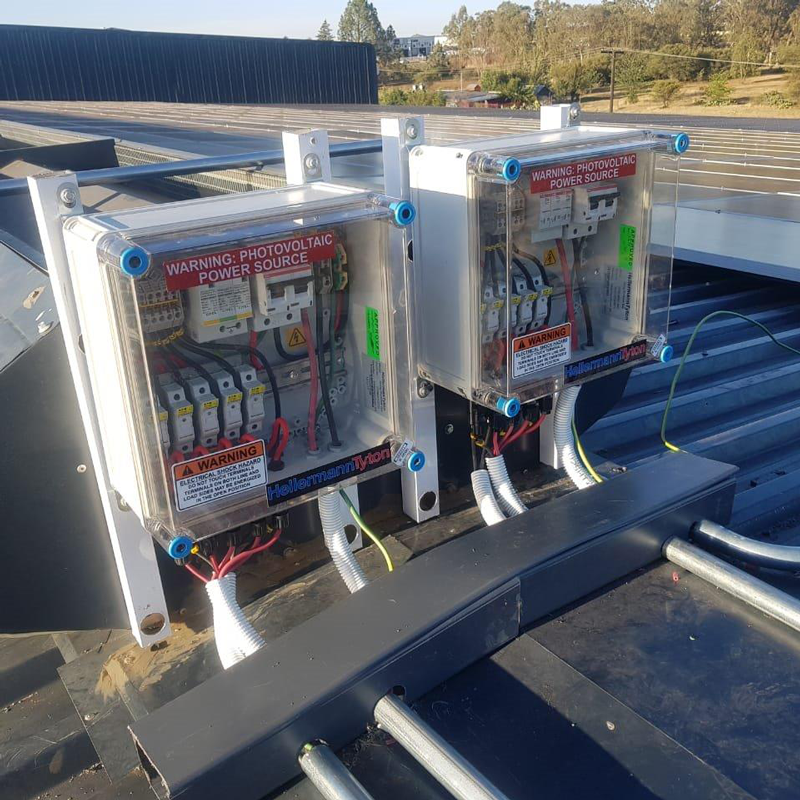 The installation took a total of 6 days to complete and an SSEG application has been approved by Centlec who is the area mains power supplier. Designed, supplied and installed by Specialized Solar Systems commercial solar team. The repayment of a solar PV system is close to 5 years, depending on certain factors like self-consumption and the tariff structure. With solar panels that have a 25-year production warranty, it’s very much like buying 25 years’ prepaid electricity at 5 years’ cost. Many municipalities across the Western Cape already have the rules and tariffs in place (where you are compensated for extra electricity fed into the grid). The remaining municipalities across the province are being supported by the Western Cape Government and GreenCape to design and implement feed-in tariffs. It makes perfect financial sense for businesses to install a Solar PV system, as they can deduct the VAT portion, in other words, 14% of the total cost if they are VAT-registered. This presents an immediate saving. Plan your move to energy liberation today. Start enjoying the many benefits that solar generated electricity offers with added cost savings and energy security.